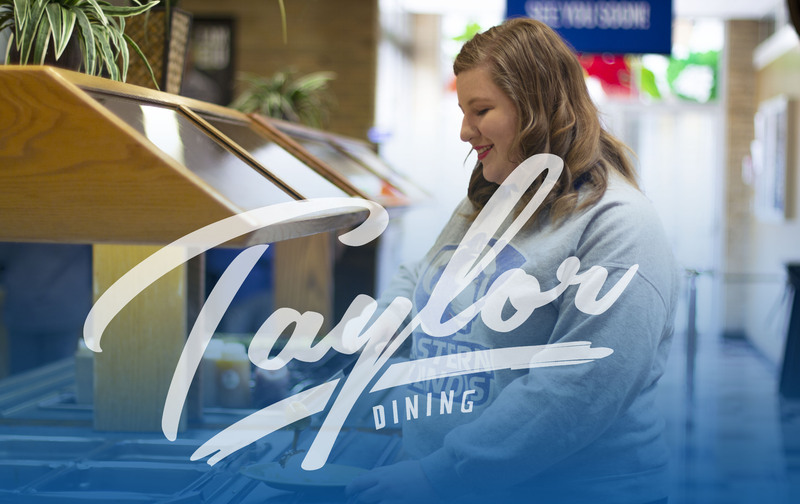 Located in the South Quad, Taylor Dining Center offers breakfast, lunch and dinner to keep you going through your busy day! Lunch and dinner offers a variety of healthy options, chicken entrees, an array of ethnic cuisines, potato and bread options. Also available are a large salad bar with fresh fruits and vegetables, make your own waffles and a yogurt bar loaded with toppings available for all meals everyday!